Assembly techniques for all shapes & size bouquets. On this 1-2-1 Brooch Bouquet Workshop you will be provided with comprehensive notes on creating Brooch Bouquets in all shapes and design and much more. 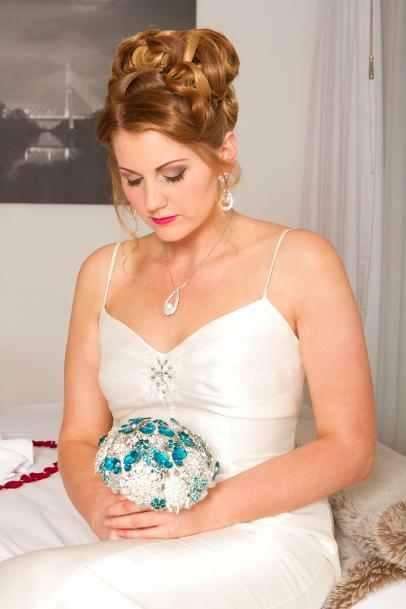 Under supervision of your tutor you will create and design your own Bridal Brooch Bouquet which is yours to take home. During our workshop you will be supplied with all the materials you will need to make your own brooch bouquet. You can choose your own colours & styles of brooches to use in your bouquet. You will be taught step by step how to assemble the bouquet. You will be provided with full comprehensive notes on the assembly process. You will also be provided with all the information on sourcing brooches and sundries needed to complete more of these bouquets should you decide to offer this service as a business venture. At your 1-2-1 workshop you will also be shown a selection of Bouquets using alternative materials and will be given the opportunity to photograph them. 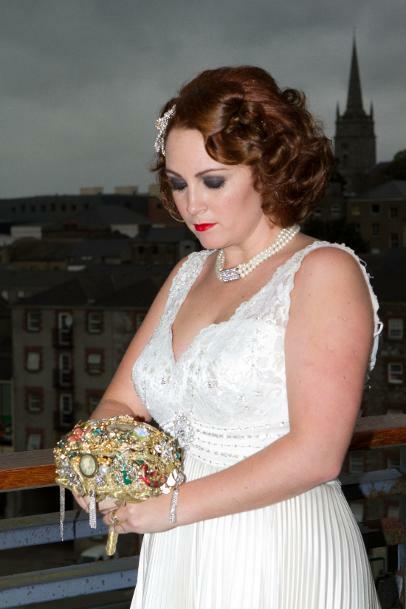 A full Brooch Bouquet would retail in the region of €250- €800 depending on the quantity & quality of brooches used. We deliver these workshops on a 1-2-1 basis at a time that suits you. They take approximately 3hrs . We can also offer group discounts or onsite training. Bring along a friend for free??? If you are a bride making your own Bridal Brooch Bouquet why not bring along your Mum or Bridesmaids so they too can be involved in the experience. There is no charge for up to two extra people unless they decide to create their own Heirloom Bouquet. In this instance we will give a discounted price on the extra Brooch Bouquets designed at the workshop. 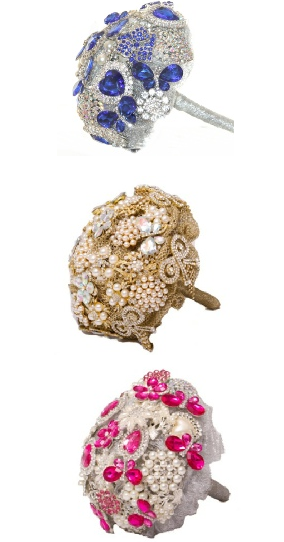 Visit Make a Bridal Brooch Bouquet's profile on Pinterest.